If you've been wondering (all this time) why some posts have the "daily luxe" tag and some don't, this is exactly what it's all about. I couldn't make it any more obvious: I'm obsessed with "me time" escapes. Whether it's dating myself to a corner table at a penthouse restaurant for some steak and wine, a book and a bucket of plain popcorn, or just a 30 minute bath at home, I get excited by the thought of enjoying my little time off for myself. These "treats" are daily luxuries (aka. luxe) to me. These are the things that I love and I thought -- you might fall in love too just like some of my finds last week from Ysabel's Daughter. 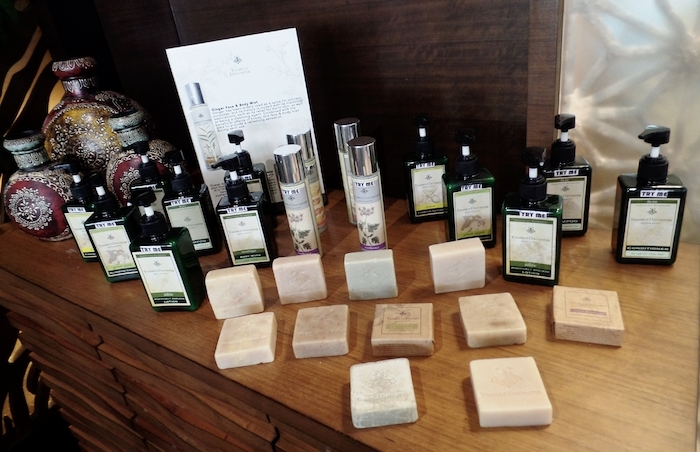 Ysabel's Daughter has a great roster of 100% natural products to start or complement your beauty routine. I love the fact that all their products are synthetics-free and made from the finest raw materials. As a beauty blogger and Konmari enthusiast, the thought of trying out products that are toxic chemicals-free excites me like silly! 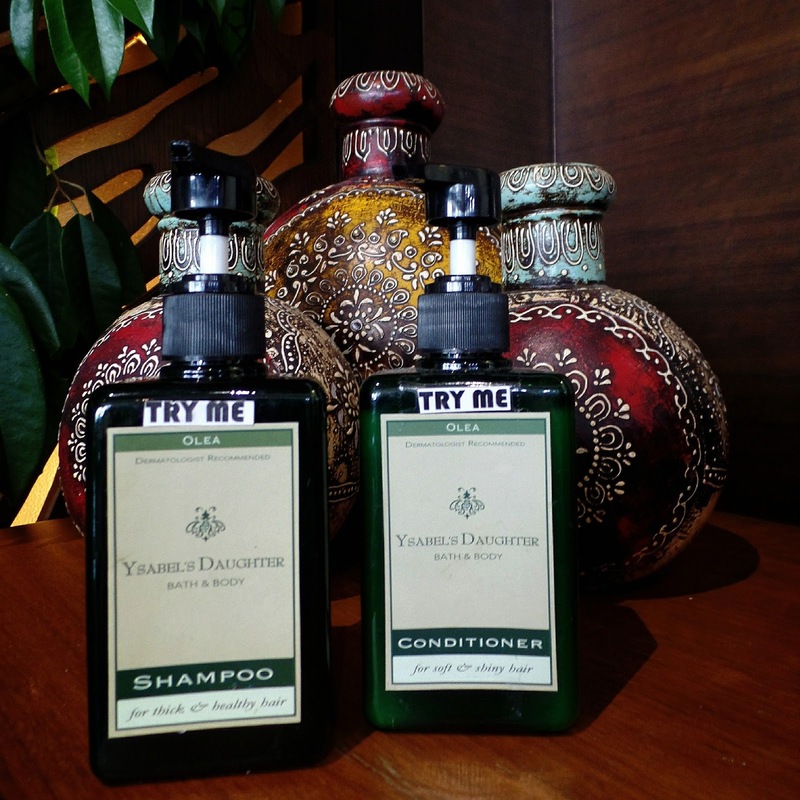 The Ginger Face & Body Mist and Green Apple Bar are the latest members of the growing Ysabel's Daughter roster. I love cooking with ginger and I was surprised to learn that more than a spice, it also doubles up as a cleansing agent and a relief for burnt skin. 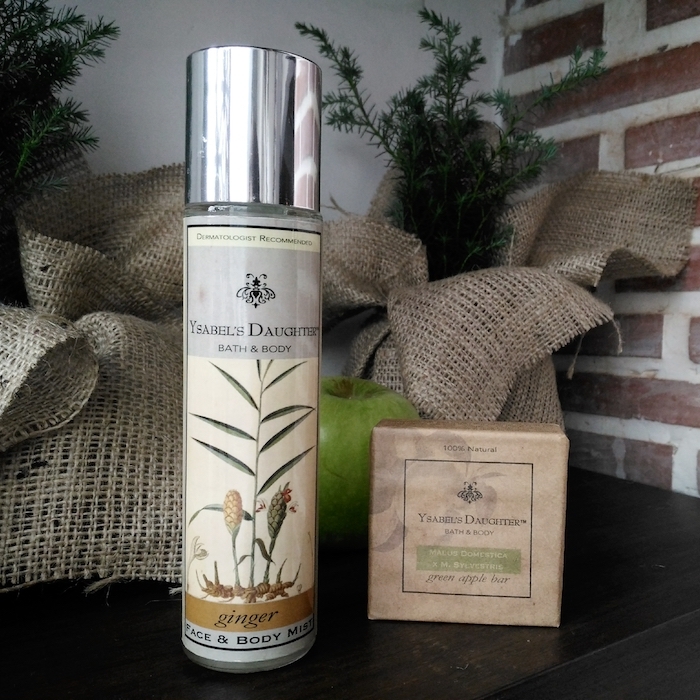 My Ginger Face & Body Mist has been a crowd favourite since I got it last week. Family members have been asking for it every time they're with me because it's so calming yet invigorating. You just need to shake it and spritz 6 inches away from your face for your mind to be taken away from the concrete jungle madness. While you can't get the same on the go fix with the Green Apple Bar, I like that it smells and feels so luxurious! Similar to the Ginger Face & Body Mist, I immediately unwrapped this when I got home. It bubbles and cleans my body thoroughly without stripping it dry of moisture. In fact, it does the exact opposite: my skin is so soft, I can't stop smoothing my hands over my arms! This lotion feels and smells SO good! I've tried so many olive based products in the past and this one smells the best. Yes -- I love olive! :) This shampoo and conditioner duo's so promising because they promise (see above) everything that I want my hair to be. Definitely adding these to my long list of Ysabel's Daughter wishlist! 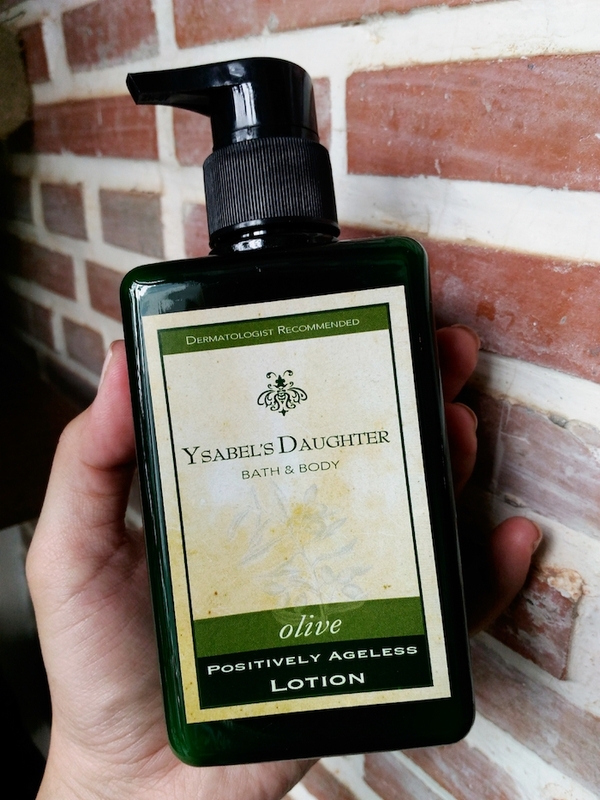 To order Ysabel's Daughter's products, you can email ysabelsdaughter@gmail.com or call (0918) 8871886.